The Age Discrimination in Employment Act of 1967 (ADEA), a federal law, protects individuals aged 40 or older from discrimination at the workplace due to age. Texas also has a law against age discrimination in employment that is similar to the federal law. Rarely do employers say “you’re too old to do this job” (although sadly, that may happen). They use “code” language like “we need fresher faces,” or “we are looking for someone with more energy.” These are called pretextual reasons. If you are replaced by someone who is substantially younger, you may have a claim. 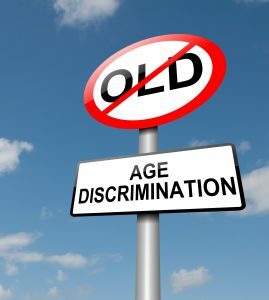 While there are similarities in the ADEA and state law protections against discrimination on the basis of age, there are also important differences, including the remedies that are available to employees. For example, both federal and state law allow a victim to be compensated for front pay, back pay, mental anguish, and attorneys’ fees. But, the caps on damages are different. Additionally, there may be different time limitations that apply to an age discrimination claim, depending upon the type of employer as well as whether it is filed under state or federal law. Federal employees are generally required to make a complaint with the Equal Employment Opportunity (EEO) office of their agency within 45 days. Private sector employees have either 180 days or 300 days from the date they are notified of an adverse action to the date they file a complaint with either the Equal Employment Opportunity Commission (EEOC) or the Texas Workforce Commission (TWC). These deadlines are crucial! If you believe you are the victim of age discrimination, it is critical that you contact a Fort Worth Age Discrimination Lawyer as soon as possible. If you fail to timely file a claim, it will be forever barred. For assistance with your age discrimination claim, contact the attorneys at Hutchison & Stoy, PLLC at (817)820-0100 or fill out a free case evaluation.